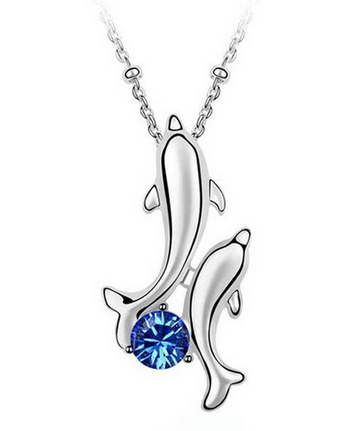 Happy Dolphins Swarovski Necklace Only $14.99! You are here: Home / Great Deals / Amazon Deals / Happy Dolphins Swarovski Necklace Only $14.99! This Happy Dolphins Swarovski Necklace is Only $14.99 from Amazon.com! Great accessory for your summer outfits. These playfull dolphins carry their ocean with them! The necklace is set with a REAL Swarovski Elements Crystal. Intricate high polish creates glamorous reflections and adds a luxurious look to this necklace. Available in several finishes and with several colors of crystals. Get FREE shipping on orders $35+!